What the world needs now is not love, peace, tolerance, understanding and a lack of carnage and bloodshed. What this orb needs is not for Donald Trump to get inoperable cancer of the larynx or for every member of Congress to be ousted for their murderous support of the NRA. We don’t need an end to ISIS, terrorism and endless conspiracy theories on Facebook. No, we do not need the Kardashians to mysteriously disappear from the face of the earth and likewise for every Twice-Born nitwit to be instantly raptured. What the world apparently needs, and what the world gets, is yet another Rocky movie with of course, Sylvester Stallone. I vividly remember watching the original Rocky in 1976 in Paducah, Ky. while I was there on business. Some in the audience actually cheered at the end, and rightfully so as the original Rocky was just that good. Both Sylvester Stallone and I were young men then, and 40 years later we get the 7th, and hopefully last installment of the Rocky series. Some of the Rocky movies were great, some were mediocre to bad, but let’s see how Creed stacks up to the 6 other Rocky movies. Adonis Johnson was Apollo Creed’s illegitimate son who was rescued from a juvenile facility by Apollo’s widow, played by Phylicia Rashad. She literally disappeared for the rest of the movie except for a brief scene of her watching the fight. Adonis Johnson, played by Michael B. Jordan had an itch to scratch so he abandoned his successful career as a Financial Advisor and headed to Philadelphia with a point to prove. He had already been moonlighting in Tijuana and was 15-0 in the ring, but he had a passion for something much better. Once in Philadelphia, he was united with Rocky Balboa, who reluctantly agreed to train and mentor the son of the man that gave him his first break. Adonis, of course, met the girl, fell in love, had a falling out with girl, and Rocky was diagnosed with cancer. There was much self-reflection, soul searching and doubt (not really), but eventually Rocky got the Rocky/Apollo type underdog fight for Adonis. At the final showdown, the warriors duked it out with Rocky in the corner and a black Adrian cheering in the stands. Sound familiar? Sound predictable? It was. First, I want to write that I did not in any way, form or fashion think that Creed was a bad movie. It was a good movie, but after leaving the theater I was quite underwhelmed for some reason. The acting performance from Sylvester Stallone was probably his best ever and Michael B. Jordan turned in a fine effort as well. The fight sequence was probably the best fight sequence in the history of cinema and was filmed in a single take. The excitement during the fight was quite electric and there was plenty of bloodshed. So, what was there not to like about this box-office smash hit? 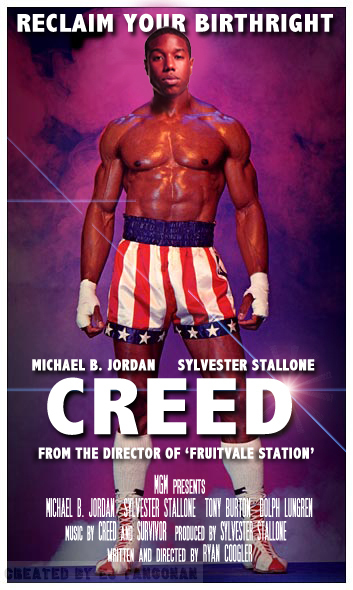 Other than role reversals with Rocky and Mick, Creed just faithfully borrowed everything from the original Rocky movie. There was not a hint of a much needed development of side stories. Supporting characters like Mary Anne Creed and the nameless icons at the gym were mere phantoms in this movie. Entirely too much time was devoted to Johnson and his newfound girlfriend who had an inevitable disability. 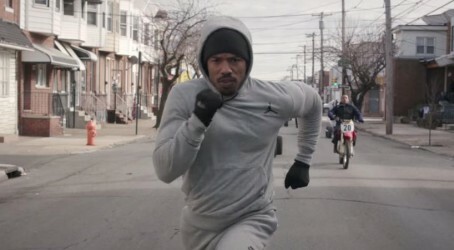 The interjection of Bianca really torpedoed the film and was undoubtedly thrust into this movie as yet another homage to the original Rocky. The relationship between Rocky and Adrian was heartwarming, but the one between Adonis and Bianca just portrayed her as a gold-digging brat. Creed did not contain one single original idea, and the training montage with the bikes made me want to walk out of the theater. Everything just fell into place too easily, the next frames were so foreseeable, that in spite of the engaging action at the end, the movie was almost boring. 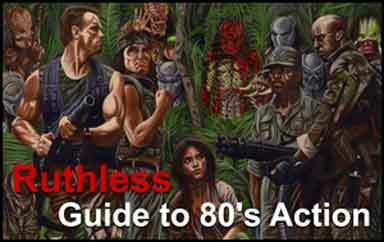 Most critics and viewers loved this movie, and I can readily see why. 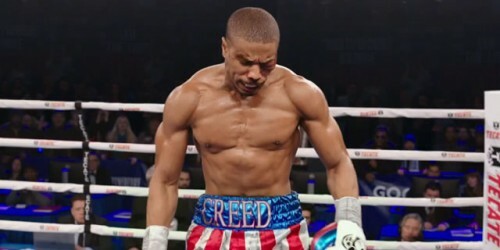 From my view, however, Ryan Coogler just squandered an opportunity for a masterpiece by playing it too safe and making Creed way too predictable. I give Creed a solid 7/10 for entertainment and it is certainly worth seeing in spite of the flaws. I would rank Creed in the middle of the pack of Rocky movies, but bear in mind that Ruthless has different standards (not all healthy). We loved the original Rocky and Rocky IV with all the rampant homoeroticism, not to mention Dolph as Drago. We loved the over the top meanness of Clubber Lang in Rocky III. Rocky II sucked, but not as much as Rocky V, and Rocky Balboa was just depressing.